Five government-run banks, viz. Bank of Baroda, Bank of India, Allahabad Bank, Syndicate Bank and Union Bank, have reported better-than-expected results for the three months ended September 30 this year. Bank of India reported an increase of more than 105 per cent in net profit to Rs 622 crore for its July to September quarter, as compared with a net profit of Rs 302 crore in the corresponding quarter of last year. Profit after tax jumped mainly on account of combination of higher net interest income and other incomes. Net interest income jumped 15.07 per cent, from Rs 2,196 crore to Rs 2,527 crore. New Delhi, May 13 : Bank of Baroda's net profit for the quarter ending March 31 dipped to 32.21 percent, the public sector bank told the Bombay Stock Exchange. It has posted a net profit of Rs. 1,028.85 crore for the quarter ended March 31, 2013, as compared to Rs. 1,518.18 crore for the quarter ended March 31, 2012. Total income has increased from Rs. 9,016.31 crore for the quarter ended March 31, 2012, to Rs. 10,262.50 crore for the quarter ended March 31, 2013. For the three month period ended March 2012, state-run Bank of Baroda (BoB) has registered an increase of 17.3% in its net profit, which remained at Rs 1,518.18 crore on the back of a tax refund of about Rs 322 crore. The banking institution posted a net profit of Rs 1,294.35 crore during the same period of last year. The bank's net profit was better than analyst anticipations of approximately Rs 1,300 crore. But, the bank's non-performing assets (NPAs) and provisions against such loans remained up during the fourth quarter. Kolkata, Feb 11 - State-owned Bank of Baroda (BoB) is expecting total business growth of about 24 percent over last year at the end of March 2012. "We plan to achieve a total business of more than Rs. 6,50,000 crore at the end of March (2012). We are expecting a total business growth of about 24 percent year-on-year basis," Bank of Baroda chairman M. D. Mallya told reporters on the sidelines of "SME(small marginal enterprise) Festival 2012" here Friday evening. Mallya said the bank will gain a domestic credit growth of 20 percent at the end of the current financial year. Hamilton (New Zealand), April 3 - Bank of Baroda is all set to expand its banking operations in New Zealand, an official said. The bank's first branch was opened in Auckland Feb 4 and two new branches are coming up in Auckland and in Wellington. Bank of Baroda NZ managing director Satish Vermani told IANS that the customers' response was encouraging and the bank has been providing all banking services in the country. Bank of Baroda started its overseas operation by opening its first branch way back in 1953 in Mombasa, Kenya. Technical analyst Ashwani Prabhu of Prabhudas Lilladher has maintained 'buy' rating on Bank of Baroda stock to achieve a target of Rs 920. According to analyst, the stock can be purchased with a stop loss of Rs 880. The stock of the bank, on March 07, closed at Rs 894.45 on the Bombay Stock Exchange (BSE). The share price has seen a 52-week high of Rs 1050 and a low of Rs 602 on BSE. Current EPS & P/E ratio stood at 103.55 and 8.79 respectively. Technical analyst Anil Singhvi maintained 'buy' rating on Bank of Baroda Limited stock with an intraday target of Rs 875. According to analyst, the investors can buy the stock with a stop loss of Rs 835. The stock of the company, on January 27, closed at Rs 844.25 on the Bombay Stock Exchange (BSE). The share price has seen a 52-week high of Rs 1050 and a low of Rs 525 on BSE. Current EPS & P/E ratio stood at 97.06 and 8.62 respectively. Stock market analyst Sudarshan Sukhani has maintained 'buy' rating on Bank of Baroda Limited (BoB) stock with a target of Rs 895. The strict stop loss for the stock is Rs 860. The stock of the company, on Sep 22, closed at Rs 872.95 on the Bombay Stock Exchange (BSE). The share price has seen a 52-week high of Rs 905.30 and a low of Rs 458.90 on BSE. Leading lender of India, Bank of Baroda (BoB) has announced that it has decided to go for an asset takeover of Memon Cooperative Bank. In a statement, BoB has said that bank will take over selected assets and liabilities of the Mumbai based Memon Cooperative Bank which is dealing with several troubles at present. For this purpose, BoB has already received the approval of the Central government and the Reserve Bank of India. Stock market analyst Rahul Mohinder has maintained 'buy' rating on Wipro stock with target of Rs 425-430. According to analyst, the investors can buy the stock with stop loss of Rs 410. Today, the stock of the bank opened at Rs 416 on the Bombay Stock Exchange (BSE). Current EPS & P/E ratio stood at 18.82 and 21.89 respectively. The share price has seen a 52-week high of Rs 451.80 and a low of Rs 277.26 on BSE. 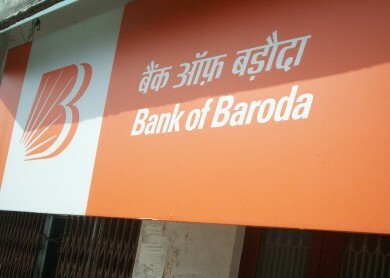 The Bank of Baroda (BoB) has announced its financial results for the fiscal 2009-10. The company has reported to manage an impressive fourth quarter net profit and net income. The net profit of the company has increased to 20.41% as compared to the same period in the preceding year. It has touched to Rs 906.28 crore at the end of 31st March. So far as the net profit of last year is concerned, the bank has earned a net profit of Rs 752.69 crore in the same quarter last year. However it has been expected that the nationalized bank could end up with a mammoth net profit over Rs 800 crore in this particular quarter.